I've read two excellent Regency era romances in the last week and have a few more on the TBR tower. 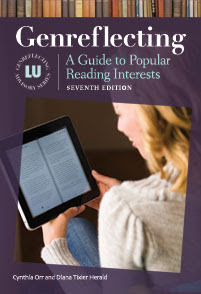 I'm hoping they herald a resurgence in the publication of the genre. The most recent incarnations of the Regency feature heroines with skills and fortitude and add dimension by incorporating diversity. 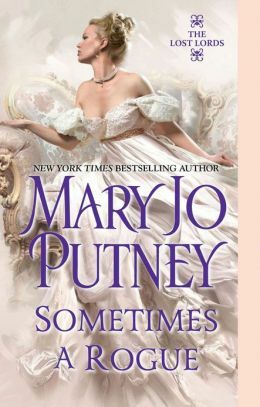 Just finished reading Mary Jo Putney's latest Regency era romance, Sometimes a Rogue. It is the fifth book in her Lost Lords series and every bit as enticing as its predecessors. When Sarah's identical twin, Mariah, Duchess of Ashton, goes into labor while on an outing, they find refuge in a small church while waiting for the groom who was driving their curricle to return with help and a suitable conveyance. When a band of coarse men shows up Sarah hears them talking about kidnapping the Duchess. Ushering Mariah to safety in the crypt, Sarah takes on Mariah's wedding ring and identity convincing her captors she is the Duchess. Quickly whisked away to Ireland she doesn't know that the Duke's friend, Rob Carmichael, a Bow Street Runner is on the way to rescue her. There are many climaxes in this novel, many places that it could have ended satisfactorily but Putney keeps building the suspense, the relationships, and deepening the characters as this delightful story moves along. 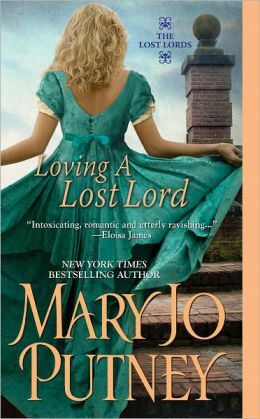 Putney takes the Regency romance to a new level with the Lost Lords series. Rob is the classic "bad boy" devilishly handsome but like the lost lords in the rest of the series, he was educated at a Westerfield Academy, an unique boarding school for badly behaved sons of the nobility. Disinherited by his profligate sire, Rob wants nothing to do with his old social class except for the lasting friendships forged in school. When Rob and Sarah are shipwrecked fleeing from Ireland they make their way to a manor house where Rob collapses and they both discover that Rob is now the Earl of Kellington. Beautifully drawn characters with realistic flaws and strengths make this a riveting read. It is sensual without being overly descriptive. The emergence of the character's character skillfully unfolds. The setting, away from the ton in London or Bath, bereft of balls and assemblies feels authentic. The cold discomfort of Sarah's captivity and escape are real and her ability to step up in dangerous situations and use the tools at hand (love the skillet to the head) make her more real. The nitty gritty details of managing an estate are interesting. All of these things work together in making Sometimes a Rogue emotionally satisfying. I did find myself thinking of Winston Graham's classic series, Poldark, when reading this even though this was not as dark. Watch for a contest to win a copy of Sometimes a Rogue. Details soon. While this is part of a series and some of the characters have been met in earlier books, all the books in this series stand alone and can be read without having read others in the Lost Lords Series. It is really nice to pair with Loving a Lost Lord the story of Mariah Clarke, who grieving the loss of her gambler father and trying to avoid marriage to the man who had previously owned her home, prays to her Gypsy grandmother and suddenly finds a man, more dead than alive, in the sea. Rescuing him she takes him home and begins calling him Adam even though he has forgotten his name as well as his entire life history. Needing an excuse to dissuade her persistent suitor she claims Adam is her husband. As Adam recovers he discovers he knows how to run a farm, ride a horse, and restore a derelict garden. Parts of his past haunt him in dreams but until he is found by three loyal friends who were at school with him he doesn't know who he was. His mixed heritage has resulted in him being very private but he was able to inspire such intense loyalty in his friends that they had gone looking for his body when a boiler he had engineered sunk his ship. Putney's Regency era romances are always a joy to read.